UPDATE - Doctor Who: Series 10 To NOT Consist Of Just 6 Episodes? | Warped Factor - Words in the Key of Geek. UPDATE - Doctor Who: Series 10 To NOT Consist Of Just 6 Episodes? The Mirror are claiming that series ten of Doctor Who will consist of just half the usual episodes, to give Peter Capaldi the chance to work on other projects. Now, any story that opens with "The Mirror are claiming..." should be taken with a pinch of salt, but there might just be some truth to this one. It is true that Peter Capaldi has some other projects lined-up, and if we were to get a full 12/13 episode run of Doctor Who next year there would be some firm details by now as filming would have to begin in January, just as it has done for series eight and nine. Then there's the season four shoot for Sherlock, guaranteed to take up much of Steven Moffat's time next Spring, and the new Doctor Who spin-off called Class which'll likely begin filming around the same time. 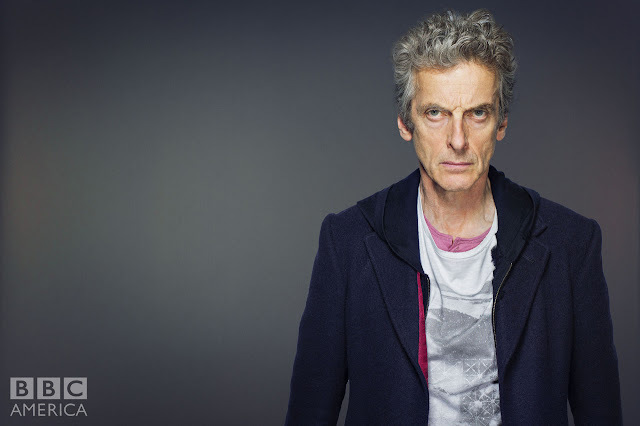 Doctor Who will return with half the usual episodes next year when its star Peter Capaldi is granted leave. The BBC pushed for more than the regular 12 instalments but the Time Lord actor wants to do other projects too. He told bosses working harder was not on, for both himself and the “exhausted” crew. Capaldi, 57, is to direct a film loosely based on his time in Glasgow punk band The Dreamboys and two episodes of the US TV series Veep. "I’m making a full series of 12 episodes, plus a Christmas special. I don’t know when it goes out. That’s up to someone else. And even if I did know – which I genuinely don’t – I wouldn’t be allowed to say so as I have absolutely no say in it whatsoever. [But] it’s not being reduced in size. We’re not making fewer episodes. That’s all complete bunk. I can confirm that absolutely." So a full 12 episodes and a Christmas special for series ten is confirmed by the man at the top. At this stage, though, the smart money has to on a split season (6 in Autumn/Winter 2015, a Christmas special followed by 6 in Spring 2016 perhaps). Or could we be looking at a gap year for Who in 2016? After all, Moffat states he's making a full series, but he doesn't say when. Reduced run or split season? Any Doctor Who is better than no Doctor Who, right?